Aging is a natural process. So, like humans, your dog will eventually become a senior canine citizen. Genetics, nutrition, environment – all of these play a role in how fast your dog’s body ages. Dogs get feeble and become less active with age. They also may experience different types of health problems, such as arthritis, diabetes, heart problems, dental issues and weakness, to name a few. It is heartbreaking to see aging dogs suffer. 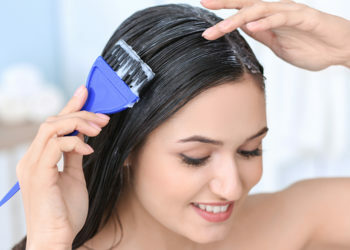 As a pet owner, you need to shower extra care and affection on your aging dog. Since there’s no turning back the clock, giving your dog the most comfortable life possible during the last few years becomes foremost. Just remember how much love and joy your furry friend has given you during his early years. Taking proper care of your aging dog is the best way to keep them from getting ill and suffering, thus extending your pet’s life. Here are 10 ways to help an aging dog enjoy the golden years. 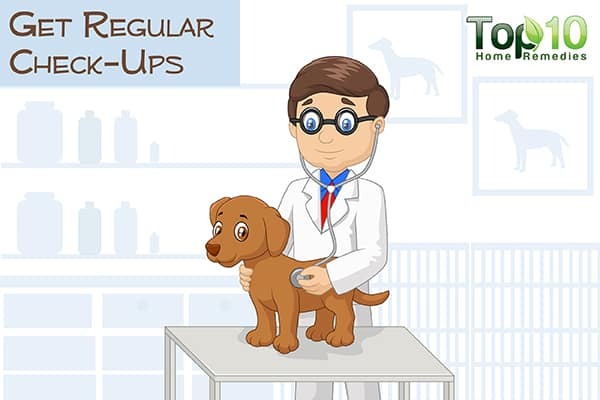 With increasing age, your dog may be slowing down, but this does not mean that you should let your furry friend spend his days curled up on the couch. Exercise is a must if you wish to keep your dog healthy, both physically and mentally. There is no need for a hectic and strenuous exercise routine, but try to continue with whatever level of exercise is comfortable for your dog. For instance, instead of long walks or hikes, take your pet for shorter walks a few times a day. Whenever possible, take your pet outside for exercise. Fresh air and sunshine are equally important for your aging dog. Apart from walking, swimming is another low-impact exercise good for senior dogs. Swimming is even easy on their weaker joints and muscles, and at the same time, it builds strength and conditioning. If your senior dog is not used to exercise, start slow and gradually increase the intensity. 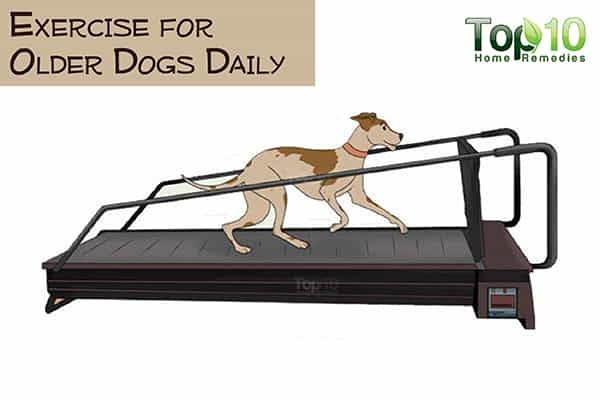 However, it’s important to understand your dog’s limits and create an exercise routine that you’ll both enjoy. A proper diet is important, irrespective of your pet’s age. But senior dogs usually have special nutritional needs. First of all, as your pet’s activity level declines, you need to serve food that has a lower calorie count. 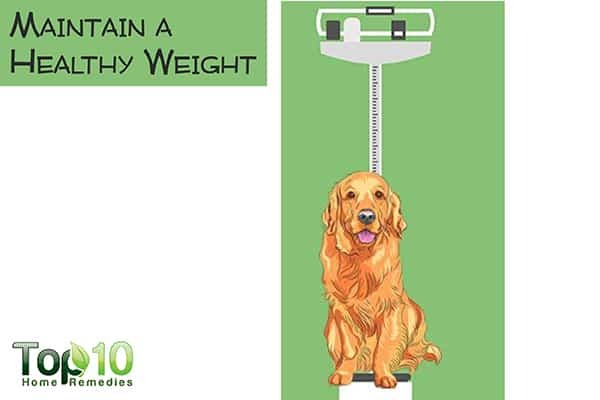 This will help fight obesity and prevent sudden weight gain, which can make things even worse for your pet. Provide natural whole foods, greens and superfoods as much as possible. Also, remember that a balanced diet should contain about 50 percent carbohydrates by weight. Plus, there should be minimum 10 percent protein and 5.5 percent fat. At the same time, stay away from processed food. 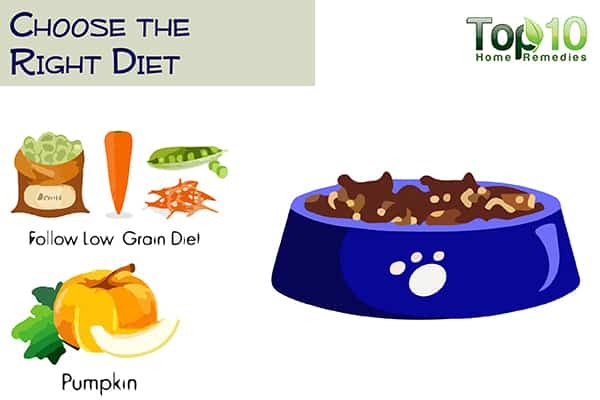 If you have any doubts, you can always consult your veterinarian regarding what diet would be best for your aging dog. A well-balanced diet is important for aging dogs, but it may not be possible to feed your pet the right nutrients all the time. 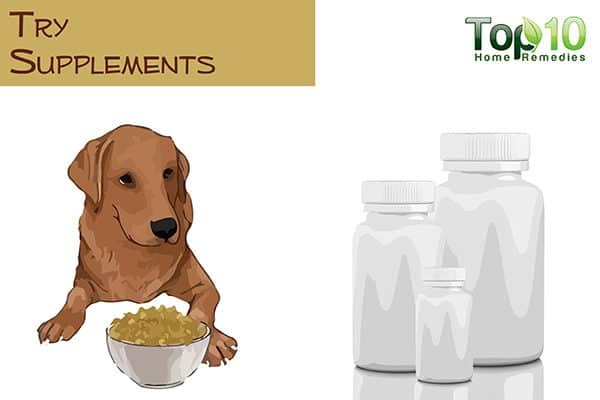 In such a case, adding certain supplements to your pet’s diet can be very helpful. MSM is a kind of supplement that helps with joint pain, arthritis, allergies and skin problems. Glucosamine, often combined with chondroitin, is a helpful supplement for dogs with arthritis or hip dysplasia. Green lipped mussel extract can be beneficial for dogs with arthritis, joint pain and inflammation. 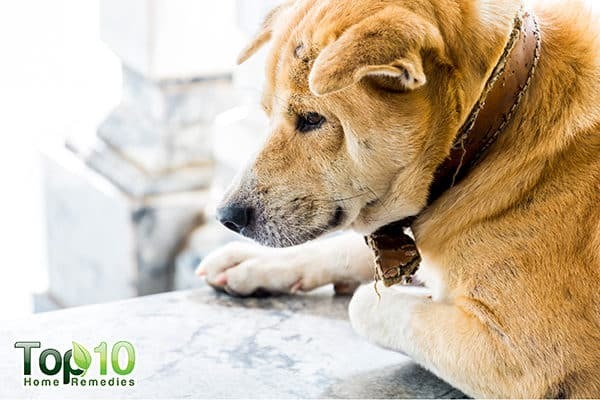 Chlorella, when used as a supplement, helps dogs who suffer from arthritis and low energy. Note: No matter what supplement you choose, always consult your vet first. 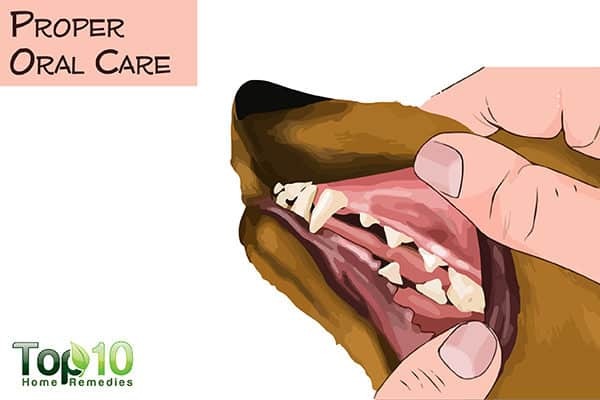 A very common problem that senior dogs face is dental issues, which can cause bad breath, tartar, toothaches, chewing food on one side of their mouth, and loss of appetite. A 2005 study published in the Journal of Veterinary Medicine – Czech found an increasing prevalence and severity of periodontal disease with increasing age in dogs (1). Not just senior dogs, even puppies need proper oral care. A good oral care routine begins with brushing your pet’s teeth 2 or 3 times a week. You can also offer many chew treats, either homemade or the ones available in the market that are designed to help keep your dog’s teeth cleaner. These chew treats help control plaque and tartar on dogs’ teeth. Also, do not forget to get your furry friend’s teeth checked by a vet on a regular basis. It is very important for senior dogs to maintain a healthy weight. Any extra weight will increase the risk of several diseases, from arthritis to diabetes. In addition, pancreatitis, heart disease, disc disease, hip dysplasia and several types of cancers are associated with obesity. While losing weight can be a challenge for older dogs, helping your canine friend lose some of the extra pounds is worth the effort. It is possible to maintain healthy weight through controlled exercise and a healthy diet. Arthritis is a common problem among senior dogs. This mainly happens due to wear and tear and instability in the joints. 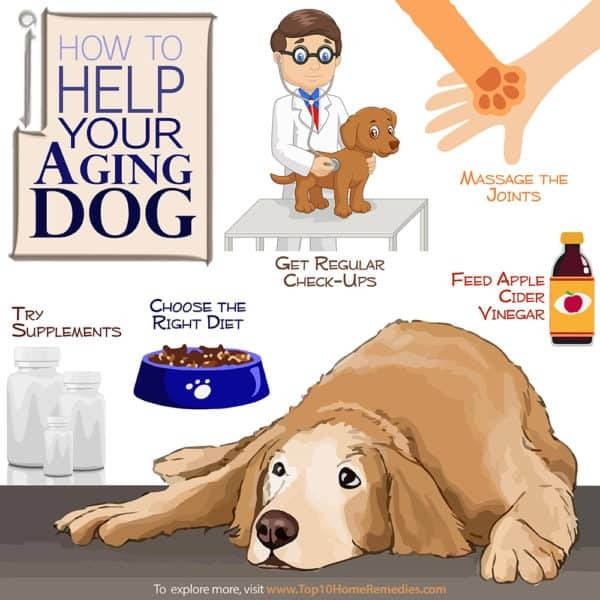 If your senior dog is diagnosed with arthritis, you need to regularly massage the joints. Massage helps increase the circulation to the painful joints as well as improving your dog’s flexibility. Giving your furry friend a 10-minute gentle massage daily will do wonders. 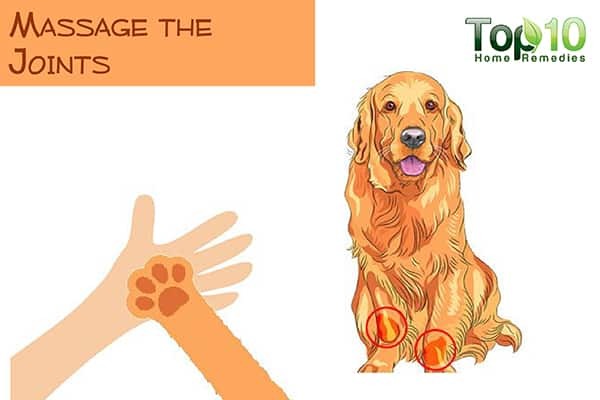 Always use gentle, circular strokes to massage your dog’s joints and muscles. You can also ask your veterinarian to recommend a professional animal massage therapist. Many therapists are even willing to demonstrate massage techniques to pet owners. 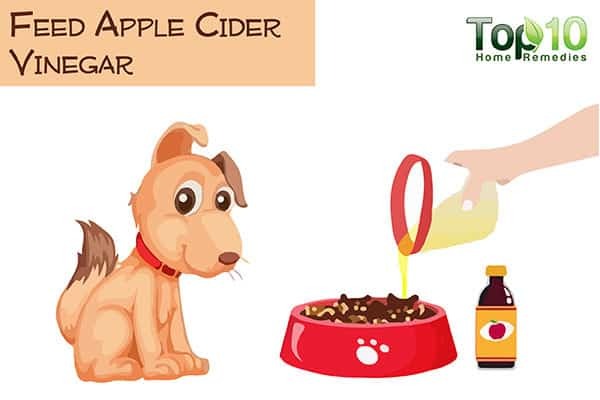 Apple cider vinegar contains several minerals, vitamins, essential acids, enzymes and pectin (highly soluble fiber), making it an excellent addition to your dog’s diet, irrespective of age. Apart from alleviating arthritic pain, apple cider vinegar helps fight urinary tract infections, heals skin infections, soothes sore paws, treats ear infections and controls tick infestations, to name a few. Up to 1 teaspoon to a small dog. Up to 2 teaspoons to a medium-sized dog. Up to 2 tablespoons to a large dog. Even a small injury during old age can take a toll on your furry friend’s health. Due to weak bones and joints, senior dogs are more prone to injuries and falls. So, you need to take all necessary steps to protect your older dog from injuries. 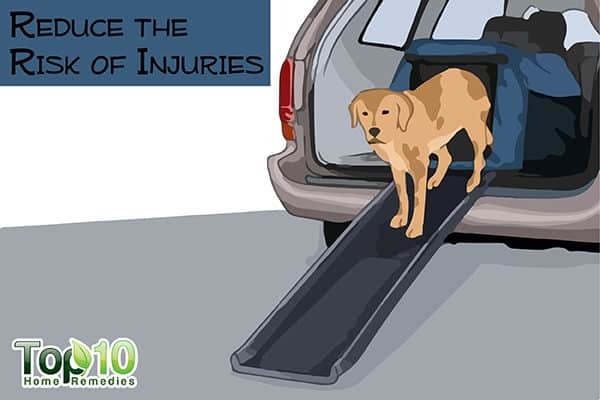 An important step is preventing your older dog from getting injured by slipping and falling on smooth flooring. To ensure that they can walk around easily and safely, use rugs with no-skid backing or carpets on smooth and slippery floors. Limit or prevent access to areas that can be slippery or too smooth for your senior dog to walk on. Also, block your dog’s access to the stairs. Senior dogs need more comfort, and they are likely to sleep more and spend more time lying down. 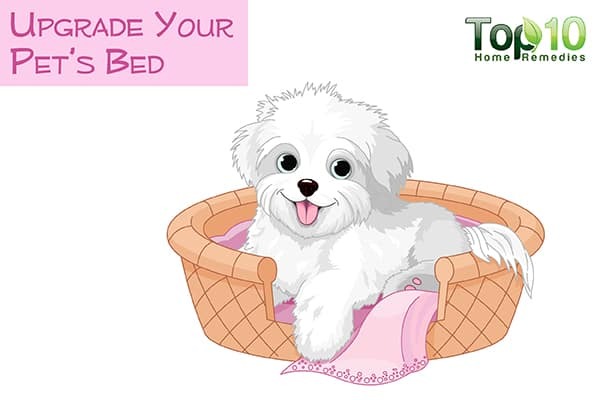 To provide comfort and help your dog sleep better, you can consider upgrading your dog’s bed. An orthopedic memory foam bed is an excellent choice for aging dogs. These popular beds come in various sizes and you can easily find one within your budget. Apart from the right bed, make sure your pet’s sleeping area is warm. Extra bedding and blankets can be helpful. You can also use a space heater or hot water bottle to provide your dog some extra warmth in the colder seasons. No matter how good your senior dog’s health seems, an old dog can suffer from an illness that you cannot figure out. There are several diseases that do not show symptoms until it’s too late, such as kidney or heart disease. This is why regular check-ups with the veterinarian will make certain your dog is in good condition. Always remember that prevention is better than the cure. Early diagnosis of any disease will mean better treatment and outcomes. Ask your vet about a special diet if your older dog has heart or kidney disease. Provide plenty of toys to keep your senior dog occupied. Do not leave your aging dog alone in the home, especially overnight or during bad weather conditions. As dogs age, they lose the effectiveness of their senses. Try to improve the senses by gradually and continuously training or playing in ways that uses its senses. Aging dogs are more prone to dehydration, so make sure you have clean drinking water available at all times. In some cases, you can opt for special dog wheelchairs that allow continued mobility for disabled dogs. Prevalence of dental disorders in pet dogs. Journal of Veterinary Medicine – Czech. http://vri.cz/docs/vetmed/50-11-496.pdf. Like to know more about how to administer pills, supplements. For supplements, I always used soft cream cheese (the Philadelphia one in that little tub); I’d wrap the pill or capsule in that and my dog would just take it easily. If it’s large, then of course, you can break it into smaller pieces. Some dogs love peanut butter. But, I hate the way the vet’s tell you to push your finger down their throat… how would they like that? I think that’s cruel and of course your fingernail can scratch their soft mucous linings. One of my dogs will eat her chewable pet vitamin out of my hand but the other one needs her vitamin mixed in with her food. products. Have a 20 lb 11 year old Terrier. Rocky, is there anyway you can cook for your baby? That way, you’ll know, for sure, what she or he is eating… google this idea.. it’s wonderful and you can make batches ahead of time and freeze them.